Discussion in 'Android Applications' started by Alexandr, Mar 6, 2018. 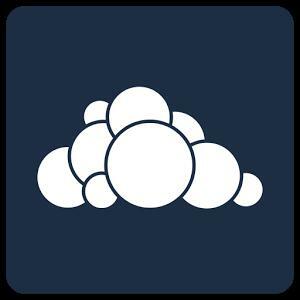 Welcome to the ownCloud Android App - Add an ownCloud server, and have your private file sync and share cloud up and running in no time. Do you need private file sync and share software? Then good news, because the ownCloud Android App enables you to connect Android devices to a private ownCloud Server running in your data center. ownCloud is open source file sync and share software for everyone from individuals operating the free ownCloud server, to large enterprises and service providers operating under the ownCloud Enterprise Subscription. ownCloud provides a safe, secure and compliant file sync and share solution - on servers you control. Whether using a mobile device, a desktop, or the web client, ownCloud provides the ability to put the right files in the right hands at the right time on any device in one simple-to-use, secure, private and controlled solution. After all, with ownCloud, it's Your Cloud, Your Data, Your Way.